Everybody luvs D-Wade, shouldn't you? While I'm guessing your wondering where the man, the myth, the drunk 5-0 ATS yesterday-Legend GREG GAMBLE is, don't worry girls & Asians, just check back in after lunch...he promises to have some NCAA & NBA action. Until then, let me hit you up with one my favorites on the NBA docket before the spread flies through the roof once Vegas get's a wiff of the IP.com daily newsletter at 1:00! Not much time today guys, so lets make this simple. Utah had won 12 in a row and finally dropped one on Wednesday. Now they hit their 4th straight road game coming off a huge run and have to go up against the Heat, who have beaten them 9 of the last 10 meetings. 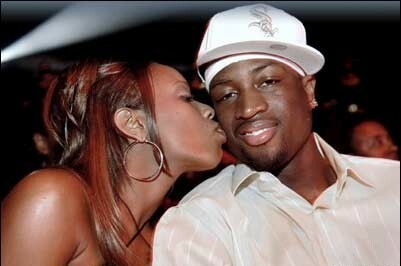 Oh yeah, plus Miami has this guy named D-Wade, I hear he is a decent baller. As my homey Shock G once said, 'DoWhatChaLike', but I know where my focus is today! Miami wins by 6-9. The wise one shows us that playing with 2 round balls is better than 1, why haven't the hoopsters figured this out? Greggy G's afternoon update has some Hornet yellow for ya! Trust me, she's gazing at a Bobcat...which has to be a sign! Playing without your PG is like playing on your knees! This page contains a single article from March 14, 2009 5:50 AM. The previous days article was FRIDAY NIGHT ATS HOOPS & HOTNESS. The next days article was SUNDAY FUNDAY HANDICAPPING MAGIC.